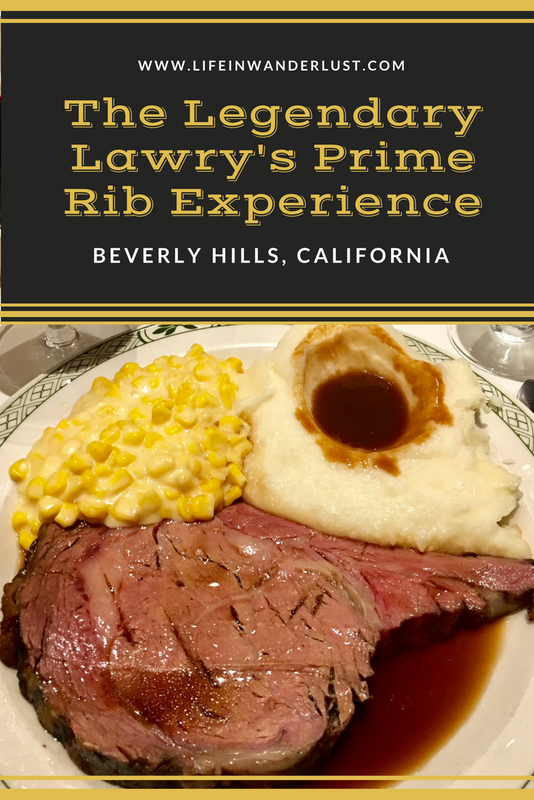 Some of you may be familiar with the Lawry's seasoned salt but did you know they have a high end prime rib restaurant? 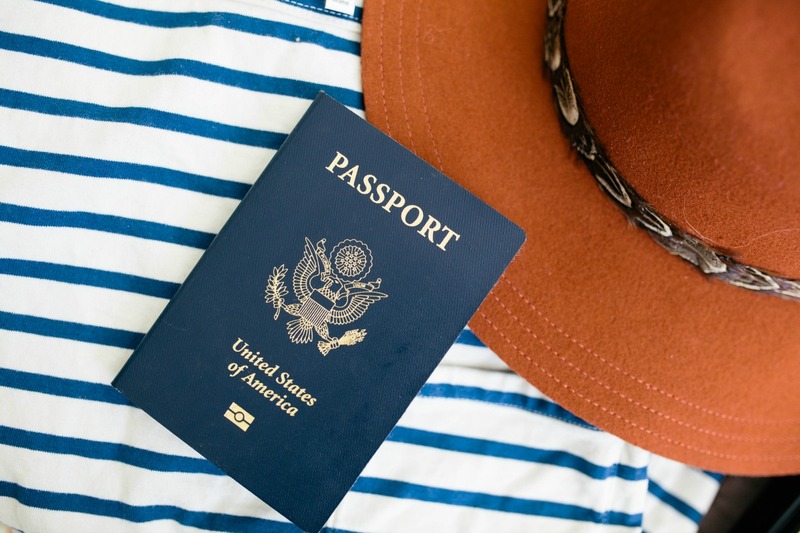 They have a few locations around the world: Beverly Hills, Chicago, Las Vegas, Dallas, Singapore, Tokyo, Osaka, Hong Kong, Taipei and Seoul. 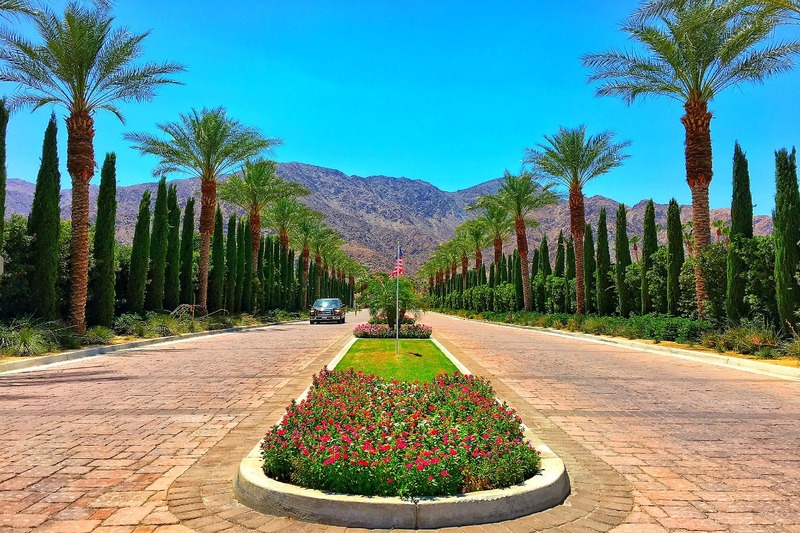 Even with all these locations, Lawry's is a family owned and operates business to this day that prides themselves in having happy employees and delivering a 'legendary experience'. I've never been to the other locations (I plan on checking out the Lawry's in Tokyo next time!) but I've frequented the Lawry's Beverly Hills so much I've somehow ended up becoming a Lawry's VIP for their loyalty program the past few years - oops? The Lawry's Beverly Hills is quite the institution and experience as I'm sure other locations are as well. 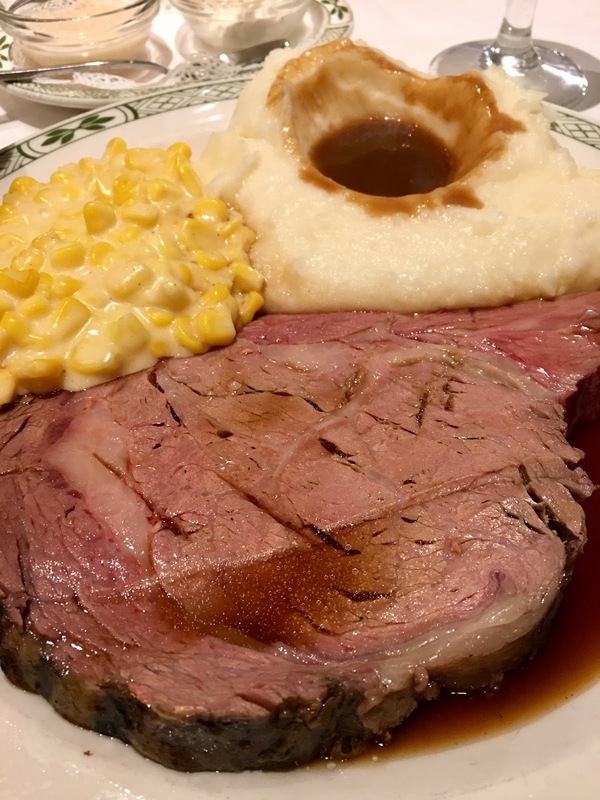 If you don't have a Lawry's Prime Rib in a location near you and visiting the Los Angeles area, I highly recommend a visit. The Lawry's Beverly Hills is located in - you guessed it, Beverly Hills. For those of you not familiar with the Los Angeles area, Beverly Hills is located in Central Los Angeles approximately between Santa Monica and Hollywood. 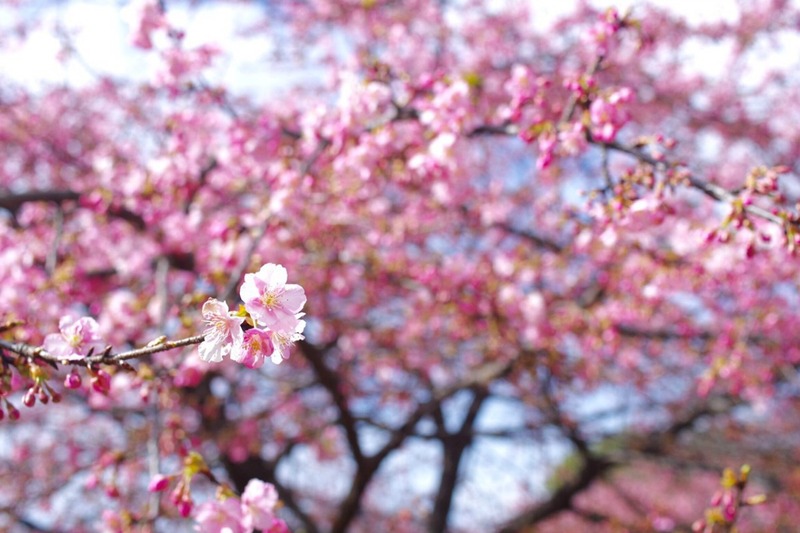 It's located on La Cienega Boulevard about a mile away from the Beverly Center which is a large shopping mall. If you're playing tourist between Santa Monica and Hollywood, it's the perfect location for dinner. Lawry's Beverly Hills is valet parking only, so make sure you have enough cash to pay for the parking fee and tip the valet attendants. There is street parking available in that area but don't count on it unless you're willing to walk a few blocks. What's the dress code at Lawry's Beverly Hills? The dress code is, in their words, "proper attire". No gym shorts, tank tops, baseball caps or flip flops. If you decide to dress casually, you'll definitely stand out and don't be surprised if you're sent away as I've personally seen a group being rejected after looking like they walked straight out of swimming at Santa Monica beach into Lawry's (flip flops, booty shorts, drenched hair and towels). Generally, people are dressed business casual to formal attire and rarely see anyone in jeans unless they are dark rinse jeans. What's on the Lawry's Menu? If you couldn't tell already, they're known for their fabulous prime rib. If you don't like prime rib, they also boast their seafood quality and selection. Although I have to say, I've never had seafood there before and rarely see anyone eating something other than the prime rib! 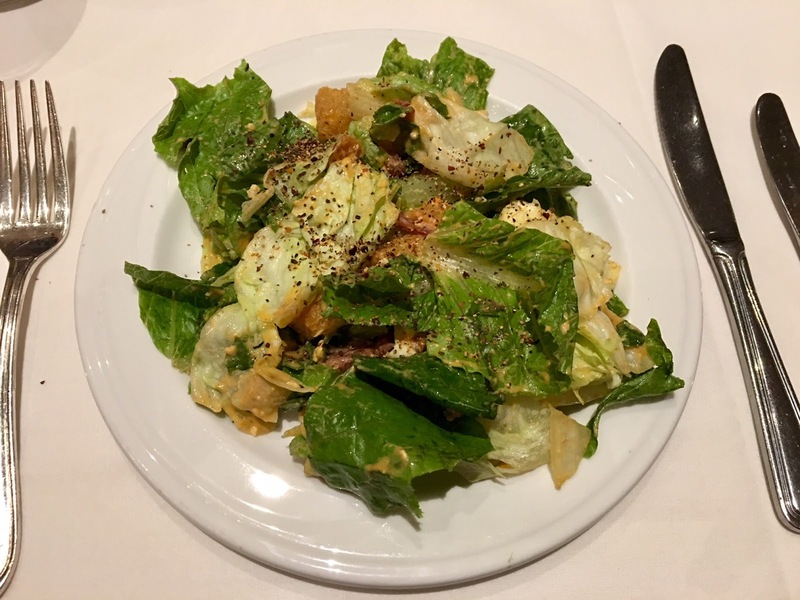 When you select the prime rib, you start off with their signature "spinning bowl salad" where they spin a bowl over ice as they pour dressing over the salad. It's quite the show and absolutely delicious! In my opinion, they put magic powder into their croutons because I've never had anything like it! 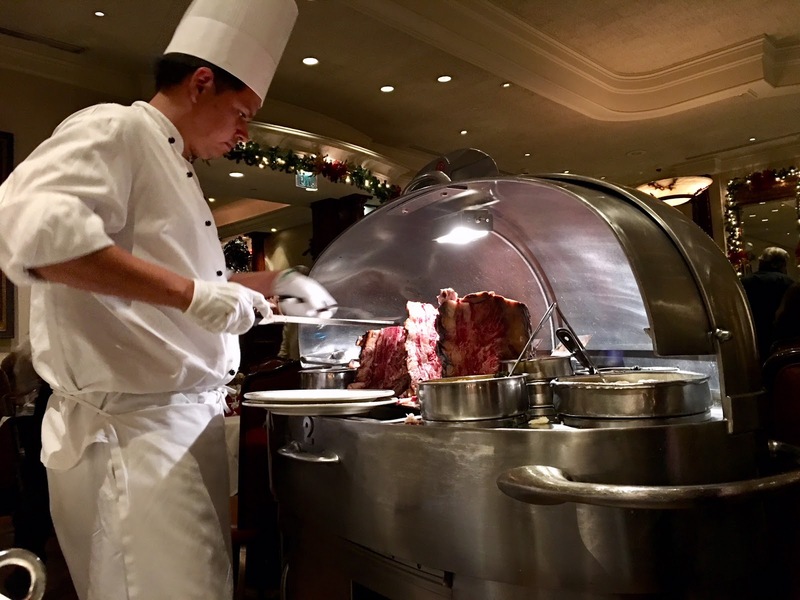 After salad, the prime rib carver and his prime rib cart comes rolling toward your table. You can select what type of cut you want ranging from thinner slices, signature slicing all the way to the thickest slice (it's insane!). It comes with au jus and mashed potatoes but I highly recommend adding the creamed corn or creamed spinach as they're both absolutely delicious! 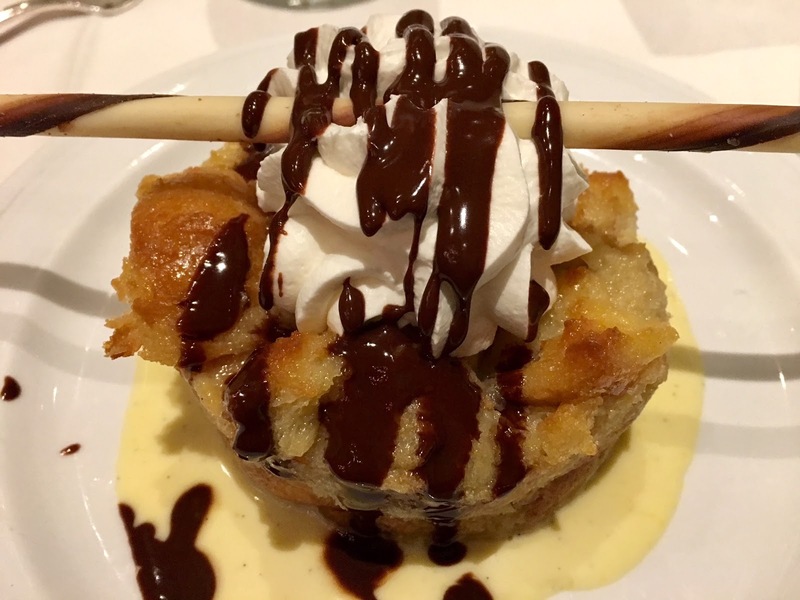 If you manage to leave room for dessert, they have a wonderful selection of desserts. I'm always inclined to order the White Chocolate Bread Pudding so I can only speak for that but I hear the Decadent Chocolate Cake and the Citrus Olive Cake are also delightful. 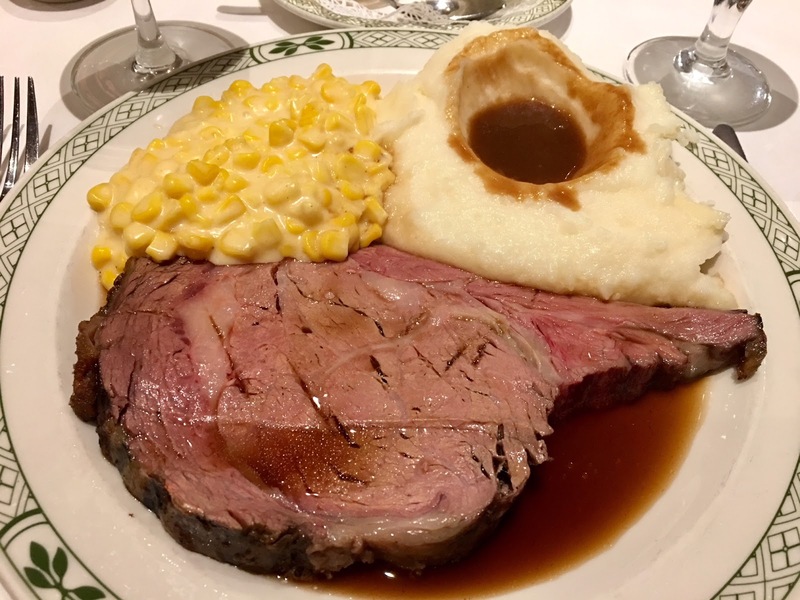 Bonus: Holiday Season at Lawry's! 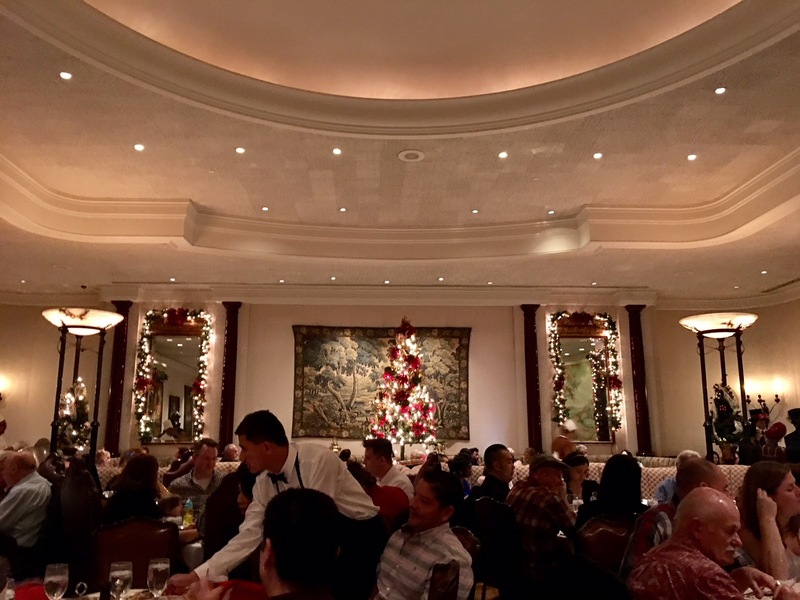 The holiday season at Lawry's is by far the best experience. 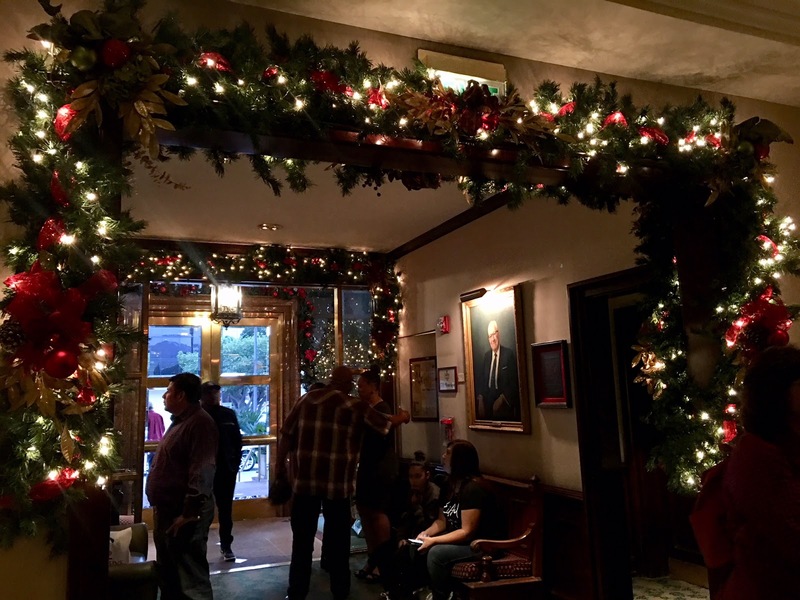 Every December for the past 6 years now, we've been dining at Lawry's to experience the holiday extravaganza. They deck the hall with Christmas decorations that are stunning but best of all, they have Christmas Carolers! 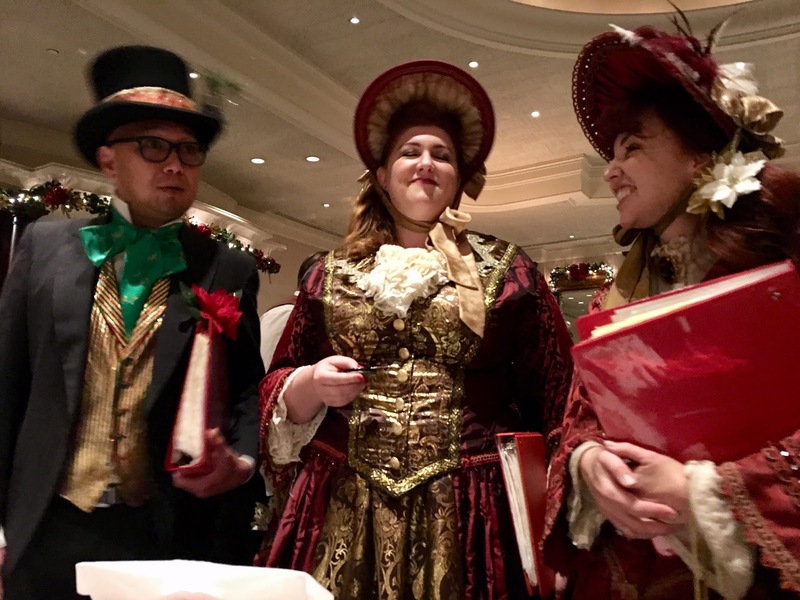 The carolers go to each table and take requests in their vintage caroler outfits. The acapella group basically knows every Christmas-related song ever written and will serenade you. This is when I truly start to feel the holiday spirit. Here's a tip: everyone always asks for Silent Night or The Christmas Song so you'll hear it all night long. Think of a more unique song to request, like Rudolph the Red Nose Reindeer or Sleigh Ride for a fun tune or Hark! The Herald Angels Sing or The Little Drummer Boy for a Christmas classic. Hours: Daily, 4PM-10PM. Holiday Hours may vary.